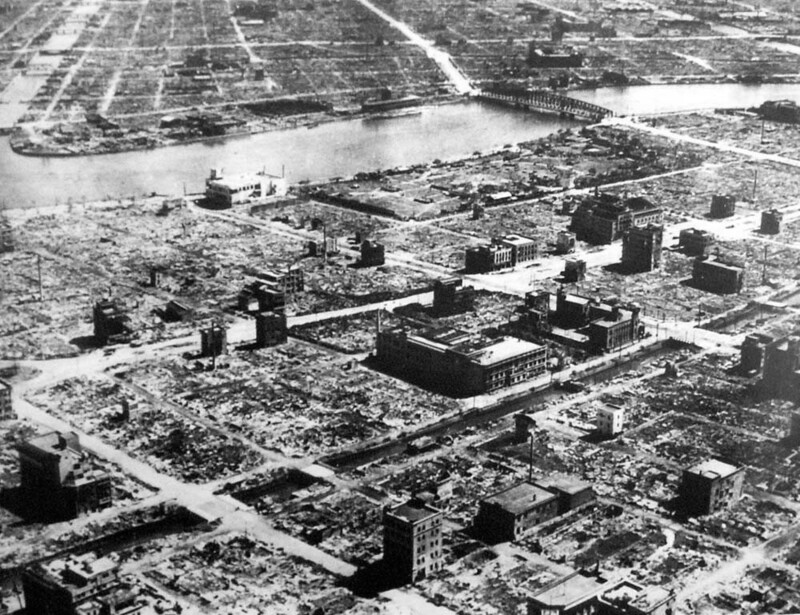 HomeThe Nuclear Attacks on Hiroshima and Nagasaki and the Firebombing of Tokyo. ← the 7/7 London Bombings. I have often wondered why the Japanese have made, in context, very little out of Hiroshima and Nagasaki – and of course the Tokyo bombings. Yes, there are memorials and annual events but compared to others in the UK especially, it all seems a little low key. That the Japanese were not the victors might be one answer. But the Japanese do not see themselves as victims. 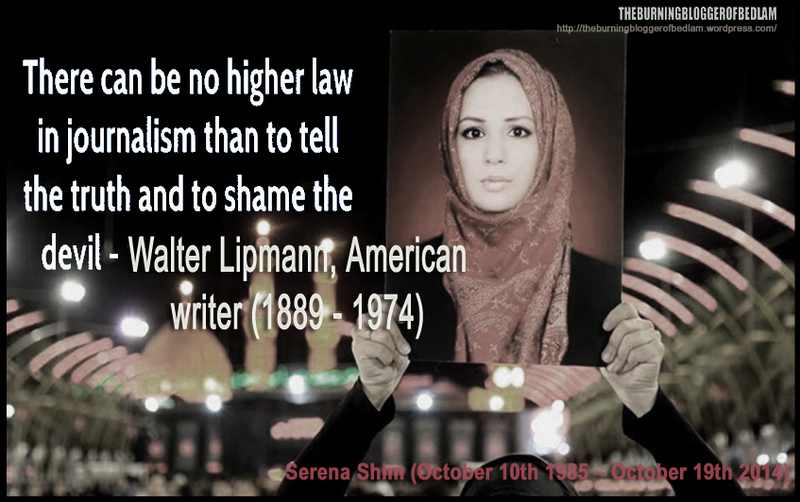 This is a cultural trait, a national characteristic that I feel is less developed in much of the “west”. To choose not to be a victim. Thanks Covenant Woman. You make a very good point there and I think you have identified the best explanations for the phenomena you describe. Many thanks for that insightful comment. ‘Only more slowly’ he writes, ‘did it come to light how the atom bombs had also saved the lives of anything up to a million prisoners in camps across south-east Asia…’. I’m not sure how he calculates this but all stands or falls on the predicted intentions of a ‘fanatical Japanese commander’ and the necessity and no alternatives to end the war. ‘Tokyo’ I hadn’t realised, covered up or just not that presented, (as usual CoE’s role). Can we be sure of the certainty Japan desperately and genuinely sought peace? 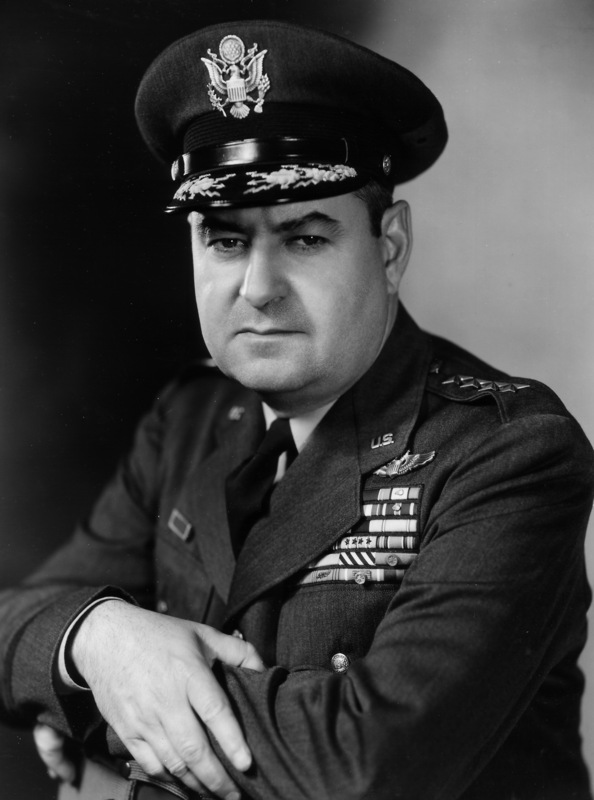 Two Admirals at the time, subsequently claimed they did, one of them also saying, intelligence agencies adopted ‘an ethical standard common to the barbarians of the Dark Ages’. Dresden, February 13/14, 1945, with up to half a million killed another, ‘most violent military operations conducted in modern human history’. Ample demonstration of the ‘allies’ fiber for brutal numb hatred or more likely the reported love of bloodshed, particularly by those making the decision (the literal kick of seeing the footage and reading reports). As you bring out, a good ol’celebration, encouraged by the controllers. All rounded off with PR to avoid accountability. Kubrick’s ‘I will not go down in history as the greatest mass murderer…’ line – the conflict of interests. Of course trading such unnecessary unimaginable catastrophes is almost unfathomable. We could speculate 9/11, the domino, is the worst of all. ‘Look, when you realize how fake it all is…’ an early-on in my wake-up Alex J rant on Justin B is all I ever hear at the mention of his name. Inadvertently or otherwise this lad is a prophetic sign, not one he wants, ‘hiding this atrocity’ like the search engines and supposedly trusted ‘free encyclopedia’. Hiding all that life is in its richness and best, pumping out contrived hyper-counterfeit with not a word or whimper otherwise. Many thanks for that Mark. I should have addressed all the excuses for these operations. This piece seems to shed some light on what happened. “American intelligence data, revealed in the 1980s, shows that a large-scale US invasion (planned for no sooner than November 1, 1945) would have been unnecessary. Japan was working on peace negotiations with the Allies through its Moscow ambassador in July of 1945. Truman knew of these developments, the US having broken the Japanese code years earlier, and all of Japan’s military and diplomatic messages were being intercepted. On July 13, 1945, Foreign Minister Togo said: “Unconditional surrender (giving up all sovereignty) is the only obstacle to peace.” Truman knew this, and the war could have ended by simply conceding a post-war figurehead position for the emperor ­ a leader regarded as a deity in Japan. That concession was refused by the US, the Japanese continued negotiating for peace, and the bombs were dropped. And after the war, the emperor remained in place. So what were the real reasons for 1) the refusal to accept Japan’s offer of surrender and 2) the decision to proceed with the bombings? A similar view is given here. It seems that the Japanese were willing to surrender prior to the Nuclear attacks, but not unconditionally.It also appears that the Soviet declaration of War on japan of August 8th, 1945 caused the Japanese leadership to realise that all hope was lost and this is what led to the unconditional surrender. 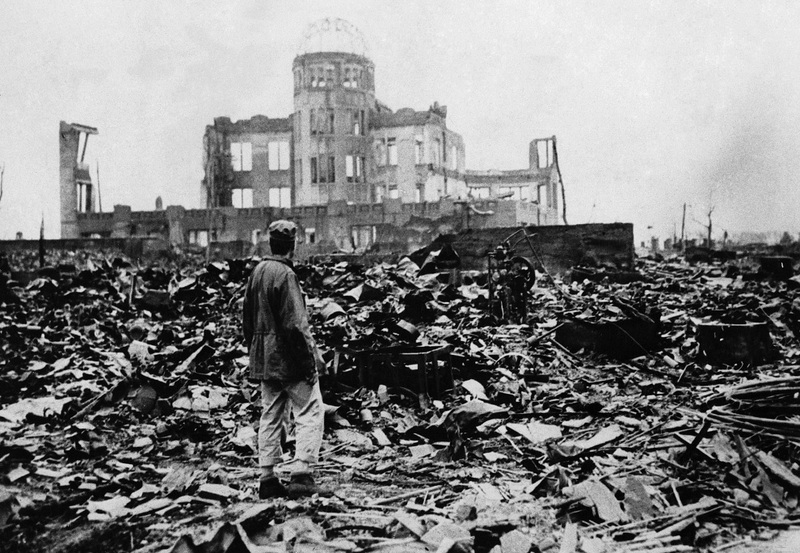 The Japanese were still discussing their response to Hiroshima when Nagasaki was attacked. The Hiroshima device was a uranium based device whereas the Nagasaki bomb was plutonium based. 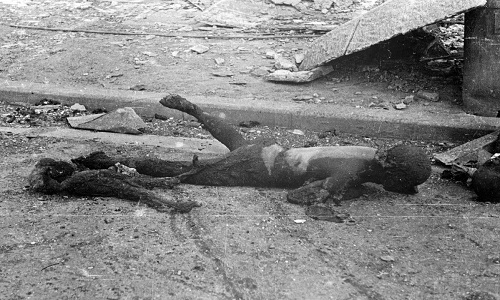 In Nagasaki the US killed an estimated 75,000 people in Nagasaki in what was a live fire weapons test. Thanks for a great comment.